Festival highlights included the fashion-meets-baroque project Semele Walk (pictured above); the world premiere of compelling local story The Secret River and hot Latin circus troupe Circolumbia with URBAN at the Parramatta Riverside Theatre. Heiner Goebbels returned to Sydney with the magical Eraritjaritjaka, and the Festival staged performances such as Cantina’s quirky physical theatre at The Famous Spiegeltent, the riveting Irish dance concert Rian, the residency of Malian singer Rokia Traoré and uplifting concerts from Archie Roach. 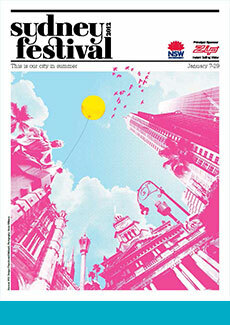 The Festival also launched the new Paradiso bar and live music venue at Sydney Town Hall. Festival First Night opened Sydney Festival with an afternoon of kid’s entertainment as Holly Throsby performed her children’s album, before DJ Norman Jay parked his iconic double-decker bus in Hyde Park, keeping Sydney dancing before the breathtaking dusk aerial performance As The World Tipped.